Whether it’s at the checkout line of the grocery or the doctor’s office, waiting is hardly ever described as a pleasant experience. This is especially true when you are waiting for transportation service. You’ve done your part to get up early and be punctual. But the reality is, your time of arrival is at the mercy of the service you hired. David Maister in his piece, “The Psychology of Waiting” writes that “anxiety makes the wait seem longer.” Is the experience the same for your shuttle service? Not if your shuttle service uses an app that gives you regular status updates on the whereabouts of your ride for the day. Apps are created for the purpose of addressing a need; to make life and work easier for the everyday consumer. In a world that is driven by mobile technology, it only makes sense to have services accessible in the palm of your hand. Shuttle service apps address the need of consumers who go through the inconvenience of their car breaking down or not having an immediate form of transportation when they have to be someplace at an appointed time. It can be a stressful moment, and no one wants to feel agitated before an important meeting or when they are about to see a friend or loved one. A shuttle service app will give you details of your arrangement with the transportation company as the reference. It will regularly inform you of where the driver is and an estimation of the time of arrival. Just knowing where your ride is will be enough to temper the anxieties and allow you the opportunity to turn the dreadful wait into productive time. Time to get organized! Hiring a shuttle service takes away the guesswork. It means you can be anywhere you have to go without worrying about how you can get there. Now you can put more focus on the things that you have to do today. Do you have a meeting with an important client at 9:00 am? Use the waiting time to prepare for your presentation. If you have a laptop, take a few minutes to review the slideshow and rehearse your sales pitch. Go over your checklist of possible questions and articulate the answers in your mind. Use the waiting time to work on some priority projects. Proofread your presentation. Review the spreadsheet you were working on since yesterday. Start searching usable references for your research paper on the Internet. Fix your schedule for the day’s errands. Should you bring the laundry before or after you pick up the kids then buy the groceries? Errands are part of our daily life. Mobile technology and apps make it possible for consumers to find the balance between life and work without missing a beat. Scheduling the activities that you have lined for the day is smart time management. You get more things done in less time without feeling stressed about it. Texting or sending out messages will save you money but it may not minimize the risk of making mistakes. Even with the benefit of having a written format for your instructions, inquiries or information, it might be better to just call the other party to make sure communication is coming through loud and clear. Meetings. 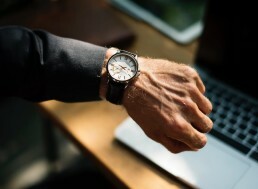 It’s always a good idea to contact the office of the person you are meeting with at least 30 minutes before the appointed schedule to confirm your presence. It shows a great deal of respect for the other party’s schedule and that you value the fact he/she set aside time in the day to meet with you. Office. Call your office and check for messages. Find out first-hand if there are developments in the projects you are working on and get accurate information. Talk to your assistant and ask for feedback on the instructions you emailed the night before. Return Calls. Did you receive messages in your voicemail requesting a return call? Don’t put it off especially if it is an important person or if it sounds urgent. If you have the habit of procrastinating, attending to return calls right away is a great way to get rid of it. House. Were your spouse and kids still asleep when you left the house early this morning? Call them up and tell each and every one how much you love them! Mom. And don’t forget Mom! Take a few minutes of your day to call up your Mom and tell her that you love her. And that goes for Dad too. But don’t forget Mom because she never forgets! People check their emails multiple times a day. If you weren’t able to view your inbox this morning, use the time waiting for your shuttle service to go through your messages. Respond to urgent emails. At the very least you can use the time to acknowledge the email and advise the sender to expect a more comprehensive response within the day. Urgent emails usually require a more thoughtful answer. Filter junk emails. Email is the most popular type of correspondence because getting in your inbox is like having their foot in the door. But some of these correspondences might be useless. If you don’t filter them out, your inbox might end up packed with 250 junk emails which will only eat up your available space. Mark Emails. Just like urgent emails, there are communications that need a more thorough read so you can compose the appropriate response. If you don’t have the time to go through its contents, simply mark it and save it for reading at a later time. Keep in mind that it is a good practice to always clear out your inbox at the end of the day. According to statistics, more than 3 billion people are on social media every day. That is 40% of the world’s entire population! People go to social media not just to post pictures of their breakfast or videos of their morning workouts. Entrepreneurs use social media to generate leads, provide customer service or to promote new products and services. Social media has become a difference maker in business. Update your status. Let your followers know where you are. Tweet that you are waiting for your shuttle service to arrive and had plenty of time to get things done for the day ahead. If you’re managing a business page, updating your status is a great way of engaging with your target audience. Post content. Social media is an effective medium for publishing content because they have massive communities. The more often you post, the greater the chances for your market to discover your content. There are apps that automatically upload your content at your designated time and date. Respond to comments. In social media, all comments are good even if they’re unfavorable. In the same way that the commenter took the time to read your content, take the time to respond. Even though you are in waiting mode for the shuttle service, remain courteous and professional when crafting your response. Catch up on current events. Social media is also a fantastic resource for information. Follow the pages of well-respected publications so you can stay updated on the latest news and developments. The information you come across may come in handy during your meeting. Of course, you can still upload the image of the coffee and croissant you are having while waiting for your shuttle service. 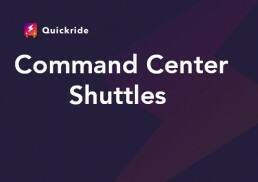 Don’t forget to attach a screenshot of the shuttle service app interface showing your ride is still on schedule to arrive on time! Once you’ve done everything that you needed to do and there is still time left before the shuttle service arrives, take a few minutes to meditate. Meditation is a proven way of relaxing and preparing your mind and body for the challenges that lie ahead. Breathing. Properly controlled breathing techniques can lower blood pressure and promote feelings of calm and relaxation. Close your eyes. Breathe in through your nose for a count of four. Then breathe out again through your nose for another count of four. Repeat this exercise four times. Don’t you feel better? Pray. Sometimes we put too much focus on our physical, mental and emotional health that we forget our spirituality. Regardless of your beliefs or orientation, it will do your heart and soul good to express gratitude for the blessings you have received. It may not feel like a lot, but when you give it some serious thought, you will realize just how much blessed you are. Relax. Finally, you can open your eyes and have a renewed appreciation of the world around new. Maybe the sun is shining brighter, the birds are sounding chirper and the flowers are just a bit more colorful. Or maybe it’s because the shuttle service is within sight and pulling up beside you! Waiting may not be a pleasant experience but it is not necessarily a bad thing. Look at the “act of waiting” as an opportunity to act on matters you otherwise may not have attended to if your day had a flying start. Done with thought and purpose, waiting can help you have a productive day ahead. Once your shuttle service arrives, everything will now fall into place. You will be ready, more focused, energized and inspired to seize the day.